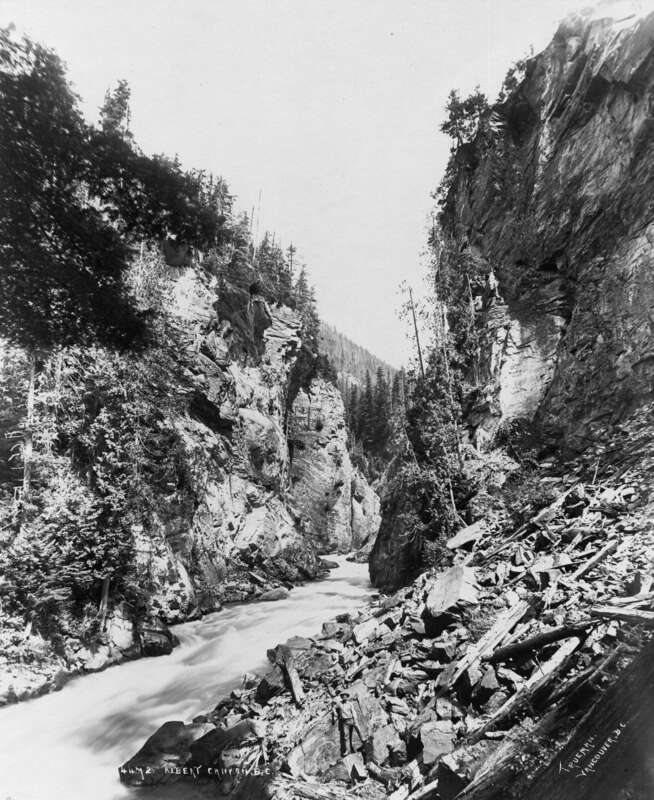 Item: CVA 274-2 - Boundary Creek Falls, near Greenwood, B.C. Item: CVA 274-3 - Cave Falls, Crow's Nest Pass, C.P.R. Item: CVA 274-4 - Goat River, B.C., near Crow's Nest Crossing, C.P.R. Item: CVA 274-5 - Goat River, B.C., showing Crow's Nest Pass, C.P.R.